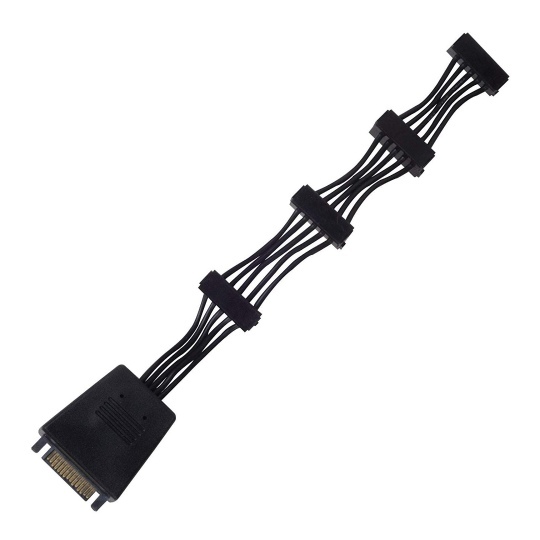 The SilverStone CP06 is a set of continuous SATA cable connectors designed to facilitate cabling and reduce clutter inside a PC with multiple SATA devices. 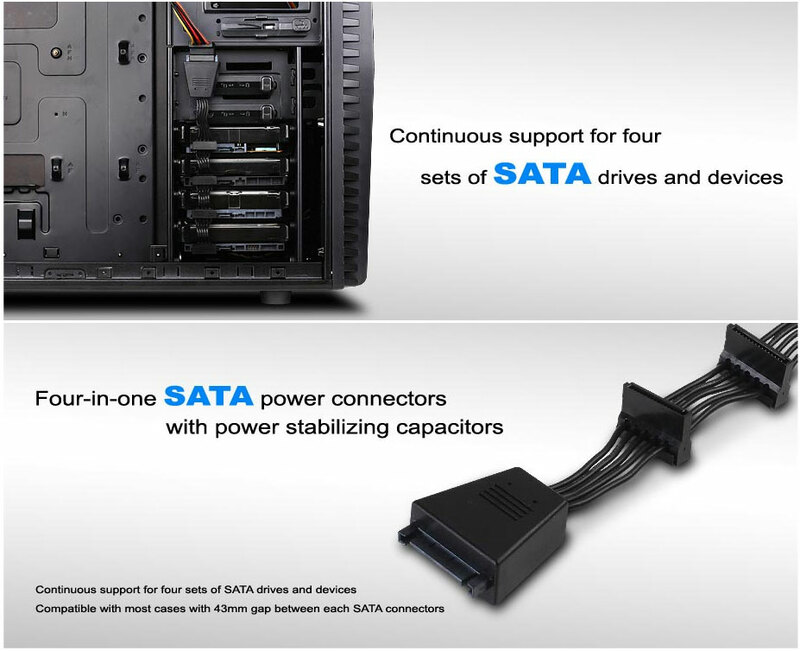 It hooks up to 4 SATA devices via 4 right angled connectors. Two high quality 2200μF capacitors are included on the cable to provide stable voltage to all connected devices. So if you have a lot of SATA drives in your system, the CP06 is a must buy for improving aesthetics and drive reliability.